Class of 2019 Kansas football signee Ezra Naylor, is a 6-foot-4 receiver from Atlanta, who played at Iowa Central Community College as a redshirt sophomore in 2018. Ezra Naylor’s statistical production this past fall during his brief stopover with the Iowa Central Community College football program might not blow some people away. However, over the course of playing in 11 games and making 19 receptions for 292 yards and a touchdown, Naylor accomplished one of his personal preseason goals: showcasing enough of his abilities as a prospect to grab the attention of FBS coaches. 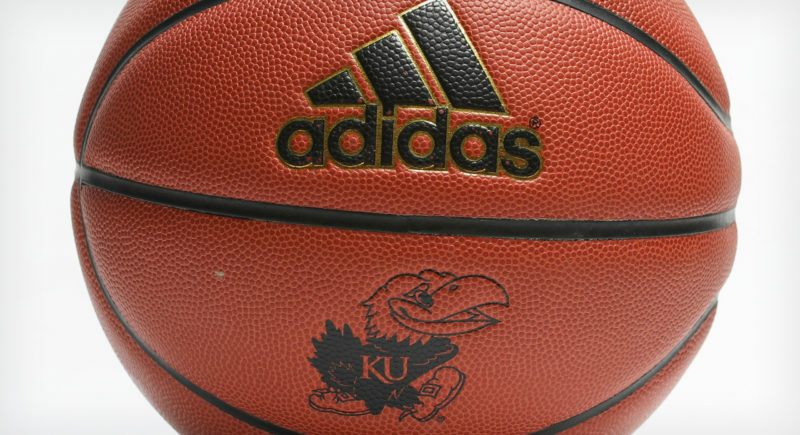 “I guess I did that,” Naylor, a Class of 2019 University of Kansas signee, told the Journal-World in a phone interview. 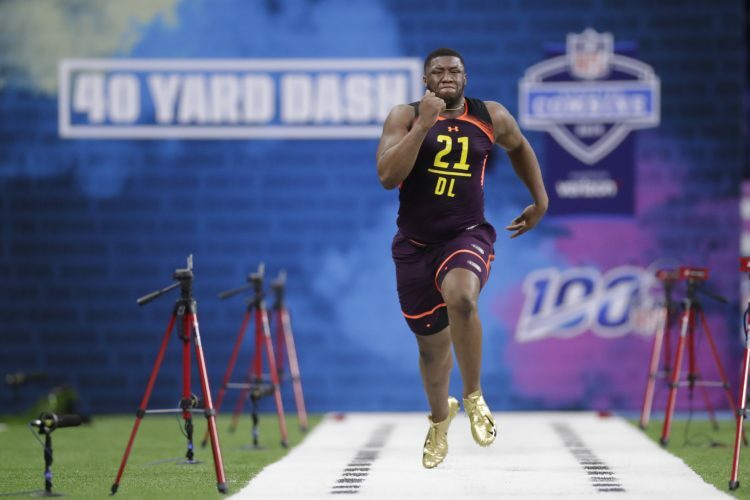 A 6-foot-4, 210-pound receiver who began his career at Kennesaw State, Naylor still has much to prove, as far as he is concerned. 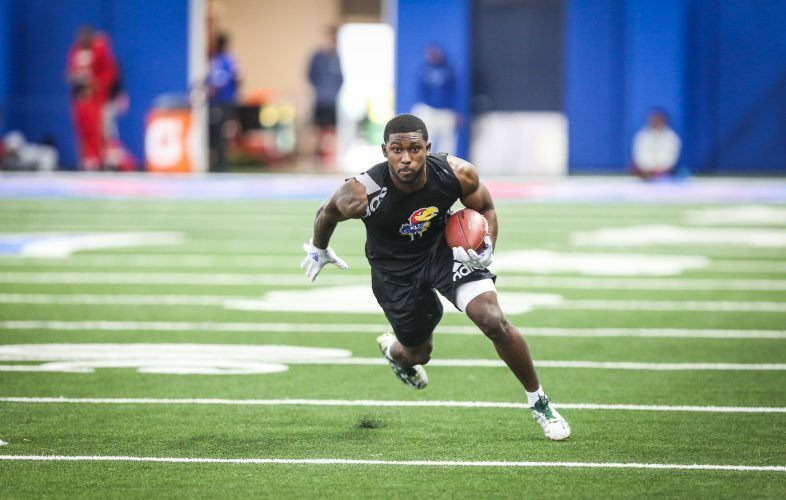 Asked what he could tell KU football followers about his skill set and what might make him a dynamic receiver for the Jayhawks in 2019, Naylor didn’t make bold declarations about his talent. “Well, really, nothing yet. I haven’t blossomed into what I want to be,” Naylor replied, while speaking on the phone from his hometown of Atlanta. 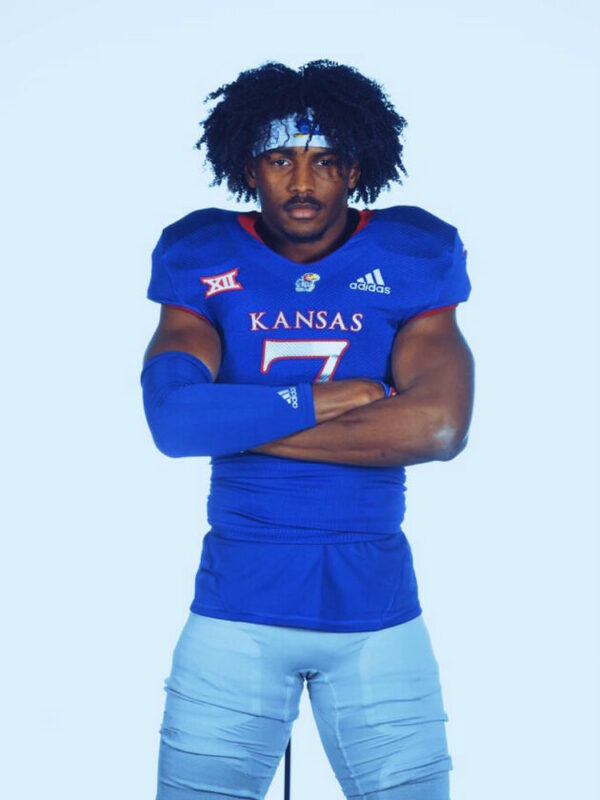 The receiver’s conversations with KU football coaches, he said, indicated they, too, anticipate the three-star passing target becoming a much more impactful skill player once he gets to Lawrence. “Initially, I wasn’t even looking at Kansas,” Naylor admitted. 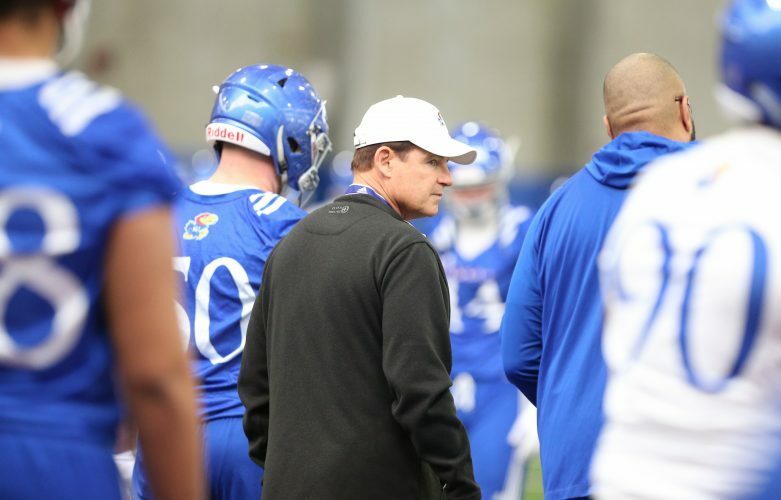 That, of course, changed quickly once new head coach Les Miles took over and he hired former Auburn offensive coordinator and quarterbacks coach Chip Lindsey to take on those same roles at KU. Shortly after Lindsey took the job, he reached out to Naylor off a recommendation. Ten days after Naylor received an offer from KU’s coaches, he signed his national letter of intent. Naylor said the fact that Lindsey rapidly zeroed in on him as a recruit intrigued him. Both Parchment, a two-star receiver, and Naylor played at ICCC in 2018 and plan to enroll at KU for the upcoming semester, which begins in January. 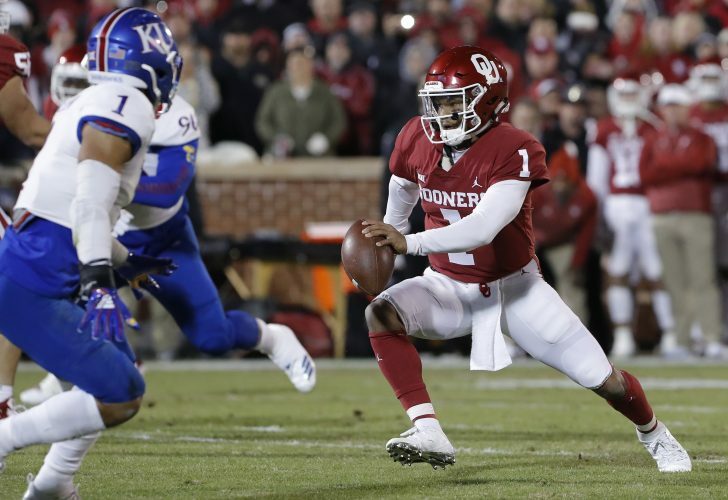 With spring football still months away, Naylor feels optimistic about what KU’s offense could become in 2019. And he liked that Lindsey’s first move in this recruiting class was to go after MacVittie, a 6-5, 225-pound, three-star QB from Mesa Community College (Ariz.). 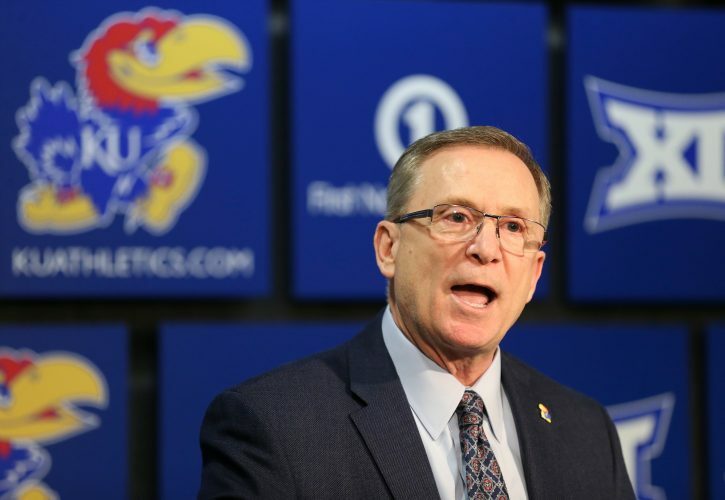 According to Naylor’s conversations with Lindsey, who has not yet been made available for interviews with local media, receivers will play a big part in KU’s offense during Miles’ first year leading the program. A redshirt junior next season, Naylor also made it clear that KU’s offense, which he thinks will typically have at least three receivers on the field, won’t ignore its rushing attack. When the Jayhawks are passing the ball next season, Naylor said both Lindsey and receivers coach Emmett Jones, a former Texas Tech assistant, told him his size and long arms should make him a useful weapon within the offense. As Naylor, who signed with FCS program Kennesaw State out of high school, gears up for yet another move in his football career, he sees his next stop turning out to be his best. He redshirted at Kennesaw State in 2016, and then played in all 14 games there in 2017, finishing with two receptions for 26 yards. Next, he stopped in at ICCC just long enough to pick up offers from such programs as Stony Brook, Troy and Bowling Green before a suggestion eventually led Lindsey to offer Naylor a scholarship to KU. During the next couple of weeks, Naylor said some of his football workouts in Atlanta that will prepare him for his first semester with the Jayhawks will involve former Kansas quarterback Peyton Bender, who reached out and offered to throw to the new KU receiver. By the time the season rolls around, and Naylor has spring practices and preseason camp behind him, he hopes to be closer to the finished product he has envisioned himself becoming.